Home › Uncategorized › Over 400 Followers! 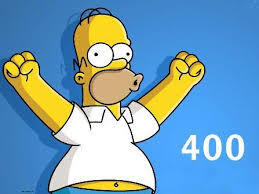 We are delighted to note that we now have over 400 followers who receive emails each time we make a blog post. We have over 100 visits most days and over 2750 opening our monthly newsletters.